Physical Characteristics:- Medium length, white, straight layered hair. Red eyes. Small child build. Smooth clean skin. 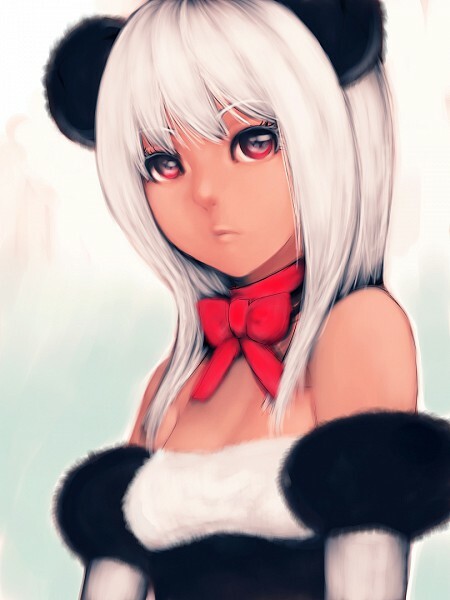 While her animal form is a panda, she also dresses up as a panda. It suits her. Mental Characteristics:- Aimi has only just begun her official slave life. She is the youngest of the current batch of slaves. This causes her to be more shy than the others. She isn't sure of herself or her surroundings. She wants to make a good impression and stay out of trouble to the best of her ability. She is one to stay quiet unless spoken to. She hopes that in her years of servitude she will prove to be of great use to her master. Good evening, Aimi! Your character profile has been approved! 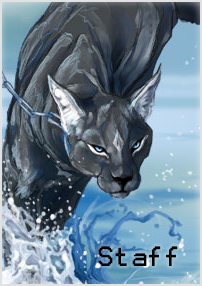 You can now start roleplaying as this character as soon as you are ready!